Isn’t it amazing that God created us in his own image? Incredible! God wanted us to be able to relate to him in special ways. God wanted human companions and conversation partners. God made us after his own likeness! Wow! We need to always remember we are truly loved and cherished by God. God blessed us by making us in his own image. This is at the same time the most wonderful blessing and the biggest challenge for us. How great it is to be able to be in an intimate relationship with God! But how dangerous it is to start thinking we are our own god. An image is never the real thing. We were made in God’s image. But we are only images of God. Every sin is based on wanting to be our own God. Every sin derives from wanting something else, something more we have. If we listen to the serpent, we will never be satisfied with anything. If we entertain the devil’s lies in our heads, we will be tempted time after time. If we don’t let God be God, we will never truly rejoice in being made in God’s image. Only by surrendering to God we can find the joys of being made after his likeness. Only by resting in God’s grace we can learn what it means to be cherished by God. wanting to interact with us. that we are only images of you. find the joys of being made after your likeness. 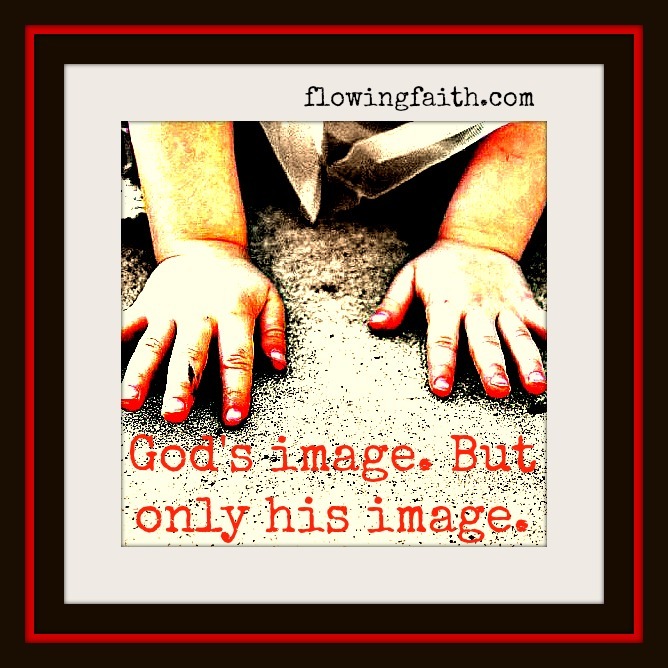 Q4U: How do you remember that you’ve been made in the image of God? What keeps you remembering that you are only an image? Be blessed, my fellow pilgrim, as you rejoice in the joys of being made after God Almighty! 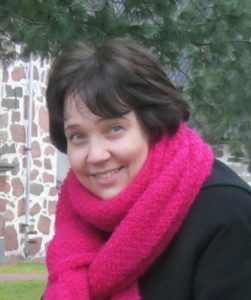 Image courtesy of Nina Santamaria, design by Mari-Anna Stålnacke. Linking up today with Sharing His Beauty & Hear it on Sunday, Use it on Monday and counting blessings: #1006 God made us after his likeness. #1007 We are just images of God. #1008 God wanted human conversation partners. #1009 God wants to have a love relationship with each one of us. #1010 God cherishes each one of us.